This year nursing students have been deeply changed by the healing love of Jesus Christ. 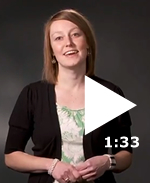 You'll catch the major highlights in this video by Renee Lick, Director of NCF Student Ministries. Thank you for your prayers for the JCN and NCF outreach at the Lippincott booth April 6-10. I talked with hundreds of students (yes... hundreds! ), distributed around 400 journals and gave away 400 flyers showcasing Journal of Christian Nursing and Nurses Christian Fellowship. An international student recently came to a meeting of the NCF group at a large university. The guest speaker that day was a well-known nursing professor and scholar who shared how her relationship with God was integral to her nursing career. God was already working on the way to NSNA! My seatmate on the plane to Salt Lake City was a nursing student who was chosen to do a session at NSNA. What an honor for an undergraduate! 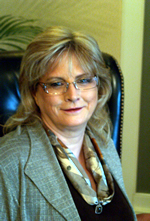 She will talk about becoming the professional you want to be, including values and spirituality. She is a Christian and was excited to learn about NCF and JCN. 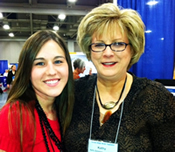 Pray this week for Kathy Schoonover-Shoffner, JCN editor, as she talks with nursing students and represents NCF and JCN April 6 – 10 at the 2011 National Student Nurses Association annual convention in Salt Lake City, UT. Ask God for conversations with students that will reflect his heart for healing and wholeness.